Hello again. As I mentioned in last week devlog my next mission was dialogue system. I tinkered a bit with Nodecanvas and their system, which has a lot of possibilities, but in the end I made my own. 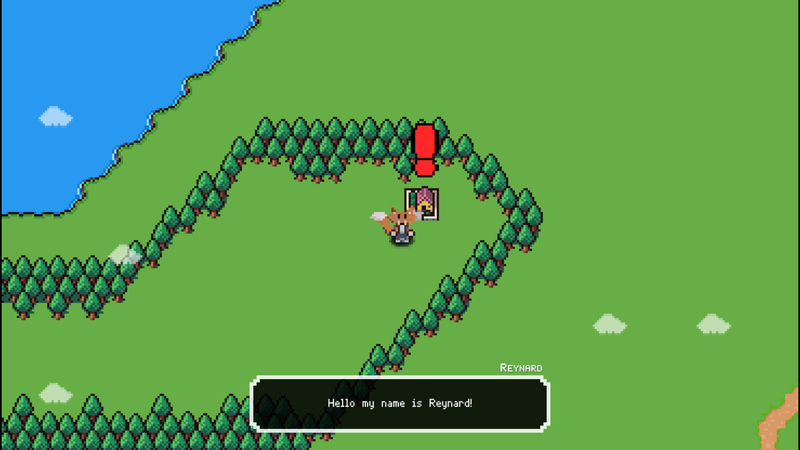 It’s really basic for now but Reynard can talk to you without problems. I will extend it in next days to do more things. For now our system reads text files in which it searches for new line (when you press return/enter). Then in the next step loads them into box. You will also have possibility to skip dialogue lines by simply pressing right button or you can just wait and text will automatically write on screen. 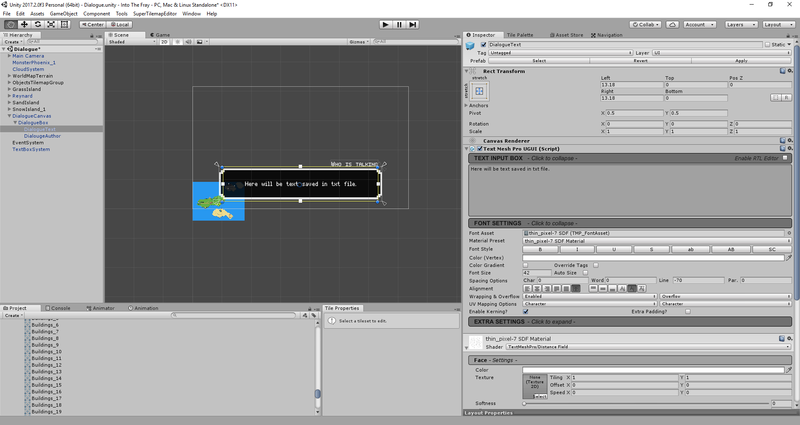 Box is made with help of unity’s UI canvas and TextMesh Pro. We use TextMesh Pro because is simply better than default Text from unity. With TextMesh Pro you have much more customization and much clearer fonts if you zoom camera really close. You can get it for free from unity asset store. We can trigger system in two ways. One is by proximity. If Reynard comes close enough to Phoenix as you can see in video, dialogue will start automatically. There is also possibility to run dialogue only once. You will have to pay close attention in the game as you never know when is the last time when some NPC will speak to you. There are also some basic sound effects when text scrolls and don’t worry they will be improved as we decided to put them in few hours before this devlog was released. This is all for this week devlog. 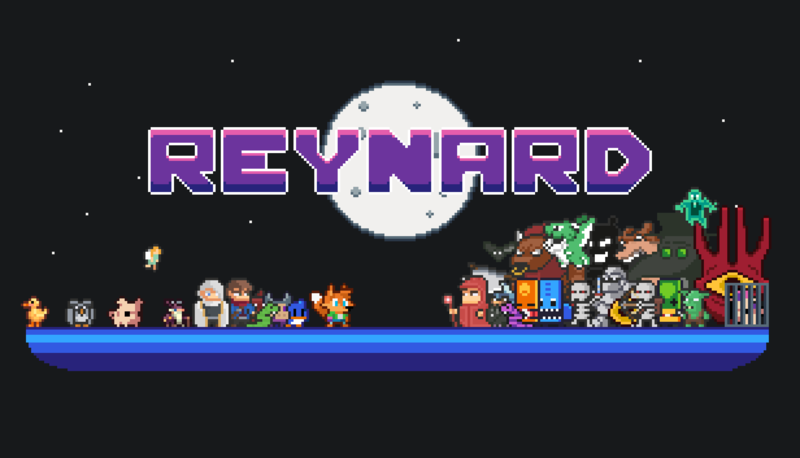 Come back next week for new info about Reynard.